Aloe polyphylla is one of the ore cold tolerant aloes and also one of nicest. 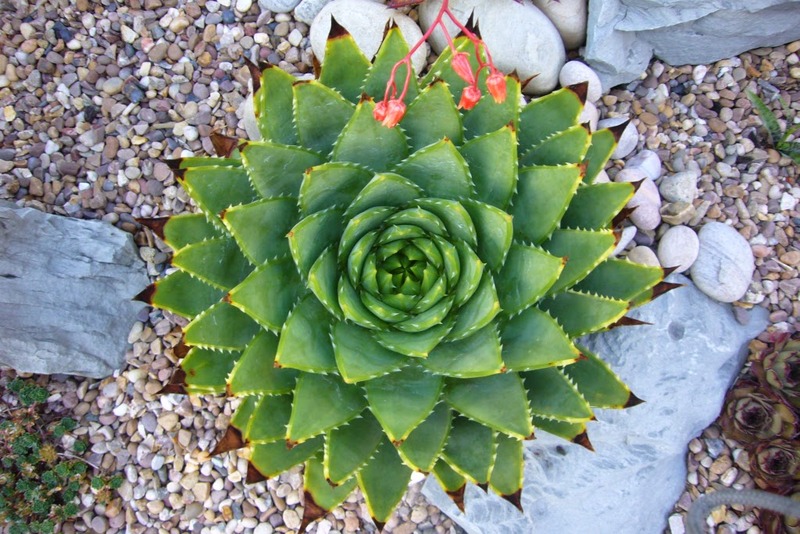 They are really sort after in the UK mainly as pot specimen, although they look amazing as part of a rockery. So when no surpise it was given a prime spot when planting up the succulent rockery. 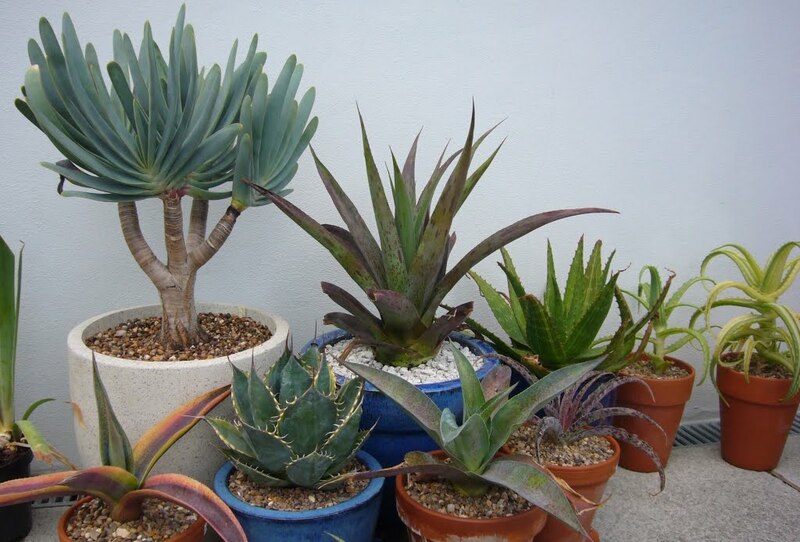 They like more water than many aloes, so tend to like being in the ground. Mine romped away and there is no complaining about the growth rate. 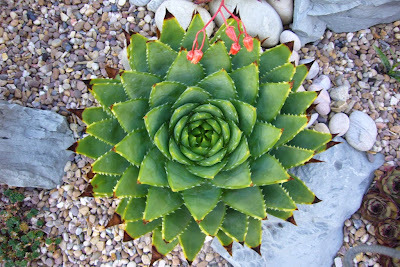 But let's face it, we grow this plant for the spiral, which gives it such a structural look. Not mine. The brown tips show I have not been watering it enough, we are in the UK surely it shouldn't need watering. Anyway, no spiral, not even the start of one. I am sure I have seen much smaller ones than this with a good spiral. When I try to focus and see any signs, I can someties convince myself that it is starting to spiral to the left and maybe this is what is slowing it down. Most seem to spiral to the right. In truth, I am kidding myself, it just doesn't want to play ball. It is being fed and watered to keep it in better condition, and it better show some appreciation or it is going. 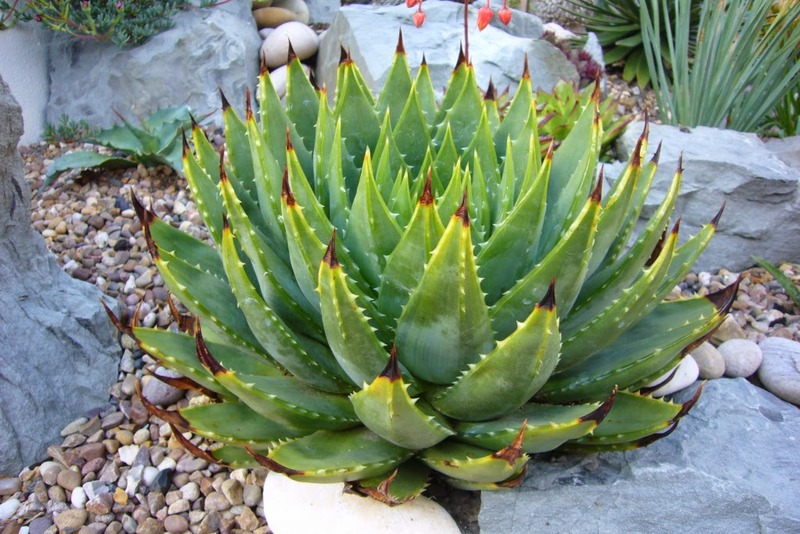 Ok, maybe not going, it is still the nicest aloe for the warmer parts of the UK. But it will at very least get a strong talking to. I swear mine started to spiral, and then it stopped and actually reverted. Weird right? That would be even more annoying. I wonder if it is a speed of growth thing, inconsistent growth meaning leaf spacing varies, which in turn means you loose the spiral. Thank you, I am pleased to say a year later it has now started to spiral is has turned into a great plant. The succulent flower part 2.